Adam Winchester is an electronic music producer and performer from Bristol, UK. Previously immersed in the early days of the Bristol dubstep scene as Wedge, he made his mark producing glitchy, left of centre bass music that he released on a number of revered labels before setting up his own underground imprint ‘If Symptoms Persist’. Alongside fellow Bristol dubstep pioneers Appleblim, Gatekeeper and Addison Groove, Wedge went on to tour the world smashing up dancefloors internationally with his own unique take on the genre. Since then he has released music under a number of different guises in a range of genre’s including techno, house, ambient and industrial, but always with an unexpected twist that captivates his listeners, truly setting him apart from his contemporaries. 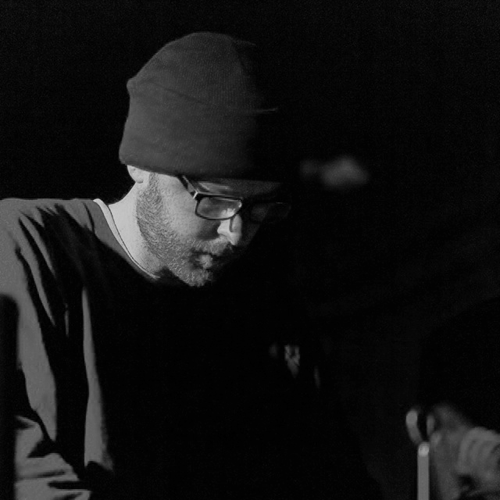 Adam is also one-half of the duo Dot Product alongside Christopher Jarman, who has previously made drum & bass as Raiden and techno as Kamikaze Space Programme. While Dot Product’s music nods to the duos musical heritage, their sound is more abstract. Drawing on unusual sound sources to create unsettling dystopian atmospheres. Their sharp-edged, rough-hewn tracks celebrate the eerie mood of industrial music without resorting to the hackneyed clang of sheet metal and machinery. These facets play into their unique creative approach, which truly seeks to yield musicality out of that which was not previously detectable by human senses. Following this intense soic exploration of his work with Christopher Jarman, Adam Winchester steps out on his own with a bold new body of work under his own name that further expands on his ideas about non-conformist sound generation and live improvisation, but with a more rhythmic and musical approach. He’s applied his knowledge of sound processing and technology to more conventional means, using an array of bespoke instruments, contact microphones, and induction coils, combined with undulating weighted rhythms and beautifully captivating clouds of spatial harmonics. Modular synthesisers and analogue tape manipulation have become new additions to his repertoire, and his new home of East Berlin provides some new inspiration to his works.